The news that Juan Manuel Santos of Colombia has received the 2016 Nobel Peace Prize for his efforts to end his nation’s decades-old civil war is notable in part because the number of contenders for this year’s award set a new record. There were total of 376 nominees, 228 individuals and 148 organizations. It also serves as an opportunity to reflect on the prize’s remarkable and sometimes controversial history, starting with its founding by Swedish inventor and industrialist Alfred Nobel. Alfred Nobel was an extraordinary person. He was born into poverty, the third of eight children, yet became one of the preeminent inventors and industrialists of his day. His father Immanuel, an engineer, later lifted the family’s fortunes by helping to develop the first naval mines successfully deployed in warfare. 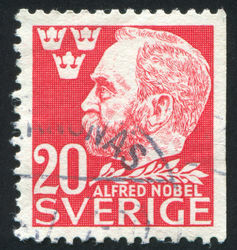 Swedish stamp showing Alfred Nobel. As a young man Alfred studied the natural sciences and met Ascanio Sobrero, the man who developed nitroglycerin. He began to devise ways to harness the new compound’s explosive power in a less hazardous form, eventually inventing dynamite. Later he also invented far more powerful explosives, as well as the blasting cap. He amassed over 300 patents and established numerous armament factories. When he died in 1896, his personal fortune was estimated, in today’s dollars, at nearly $300 million. Why did Nobel start the prizes? An oft-repeated tale attributes Nobel’s creation of the Prizes to a mistaken obituary. As the story goes, in 1888 Nobel’s brother Ludvig, who had been dubbed the “Russian Rockefeller” for his role in establishing that country’s oil industry, died. The European press mistook Ludvig for Alfred. Some speculate that reading these reports motivated Nobel to use the fortune he had amassed from manufacturing arms to establish prizes that would recognize mankind’s benefactors. However, there are some suggestions other elements of the tale may not be true. In 1895, Nobel wrote his third and last will, establishing the five prizes: chemistry, literature, physiology or medicine, physics and peace. He died the following year, and the first prizes were given out in 1901. While awarding prizes for chemistry and physics was an obvious choice for the inventor and engineer Nobel, the rationale for a peace prize is less obvious. It is possible that Nobel wished to compensate for dynamite and other inventions that could be used for destructive purposes, as well as his many business interests in the armaments industry. His will was also shaped by the fact that, though he had several relationships with women, he never married and died without an heir to whom he could leave his fortune. One of these women was an Austrian named Bertha von Suttner, who answered an ad that Nobel had placed in the newspaper: “Wealthy, highly educated, elderly gentleman (he was in fact only 43 at the time) seeks lady of mature age, versed in languages, as secretary and supervisor of household.” Though she worked for Nobel only two years before marrying an Austrian count, von Suttner became a fierce proponent of disarmament and eventually received the 1905 Nobel Prize for Peace herself. It is possible that her advocacy helped spur Nobel to establish the peace prize. 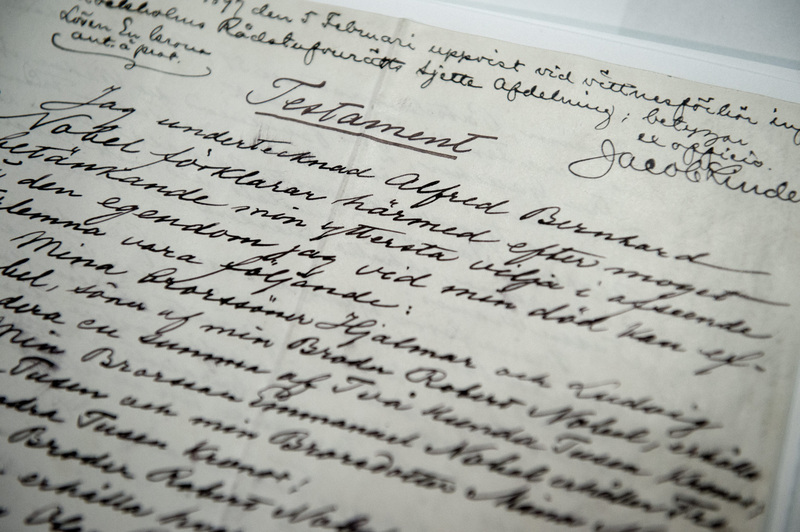 The testament of Alfred Nobel, chemist, engineer, innovator and the founder of the renowned Nobel Prize. The Nobel Prizes have occasioned considerable controversy, on some occasions overlooking worthy candidates and on others recognizing individuals who in retrospect appear poor choices. One egregious choice was Egas Moniz, who received the prize in physiology or medicine in 1949 for developing the now-discredited frontal lobotomy. Among the most notable omissions were chemist Dmitri Mendeleyev, who developed the periodic table, and the great novelists Leo Tolstoy and Mark Twain. The peace prize has been perhaps the most controversial of all the Nobels. The controversy surrounding the peace prize stems in part from the ambiguity of the concept of peace. 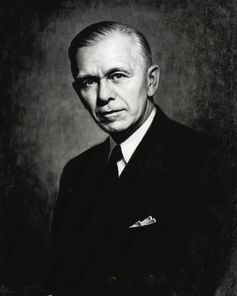 For example, the 1953 laureate was George C. Marshall, president of the Red Cross and founder of the Marshall Plan, for rebuilding Europe after World War II. However, Marshall had also been commander of U.S. military forces during the war and U.S. secretary of defense, a tacit admission that the use of force can be an important instrument of peace. A similarly controversial choice was the 1973 prize that went to U.S. Secretary of State Henry Kissinger and Le Duc Tho, North Vietnam’s chief negotiator, for negotiating an armistice in the Vietnam War. This prompted satirist and songwriter Tom Lehrer to quip that “Political satire became obsolete when Henry Kissinger was awarded the Nobel peace prize.” Tho became one of very few people ever to decline a Nobel Prize, doing so on the grounds that peace had not yet been established in Vietnam. Two particularly notable American recipients of the peace prize were Jane Addams and Martin Luther King Jr. Addams, a colaureate in 1931 and the first American woman to be awarded the prize, founded Chicago’s Hull House, which was the first settlement house – designed to assist immigrants living in crowded conditions – in the United States. She also worked tirelessly to focus the country on issues of concern to mothers. Martin Luther King Jr. speaks at the civil rights march on Washington in 1963. And despite Nobel’s instructions that the prize should go to individuals, in 2012 the Nobel Committee recognized the European Union for advancing peace and reconciliation, one of the latest examples of the committee’s increasing predilection to award the prize to organizations. 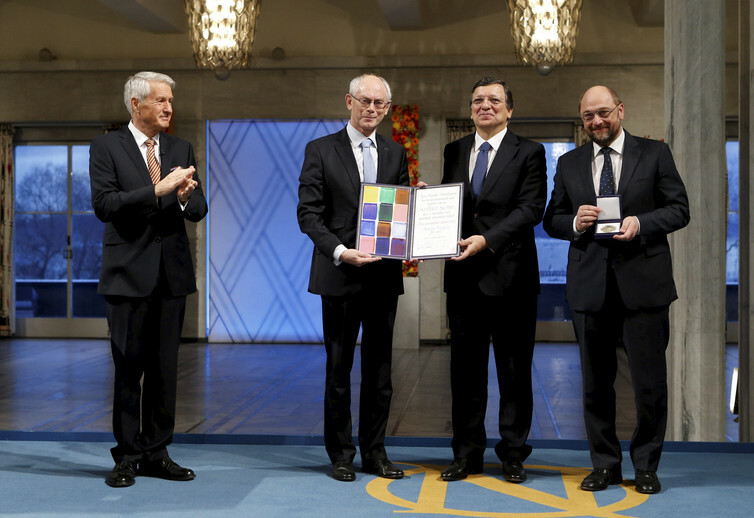 Representatives from the European Union receive the Nobel Peace Prize in 2012. One of the greatest benefits of the Nobel Peace Prize is the fact that, once a year, it promotes a lively discussion about peace throughout the world. Does peace, for example, mean a mere absence of violence or a positive state of justice and good will? While it is unlikely that everyone can agree on its precise meaning, and controversy will no doubt continue to swirl around particular awardees, the recognition of peace as a universal human good constitutes perhaps Nobel’s greatest bequest.